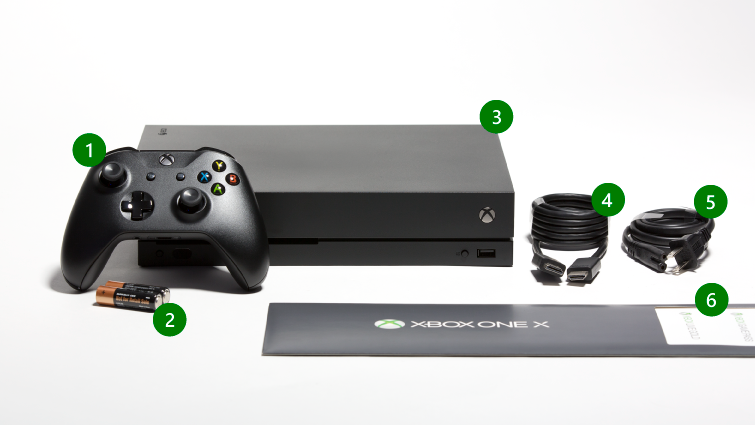 Standard editions of Xbox One X (shown) and Xbox One S include the following. The contents of limited editions and bundles will differ. Would you like to contact Support regarding the "What’s in the box with Xbox One" issue you were reading about or a different issue?